Nobby Stiles Signed Manchester United replica 1968 European Cup Final shirt. 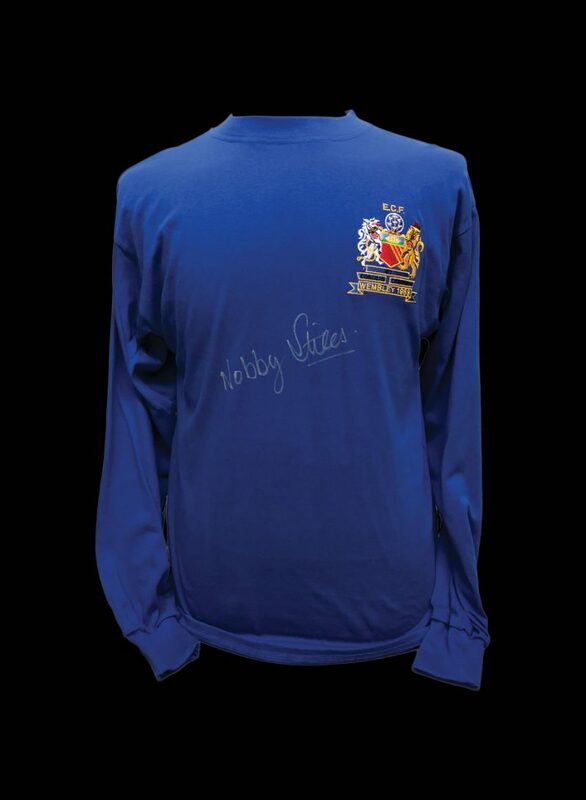 Here is an official retro Manchester United 1968 European Cup Final shirt personally signed by Nobby Stiles in a signing session carried out and attended by Allstarsignings in Manchester, 6th April 2011. 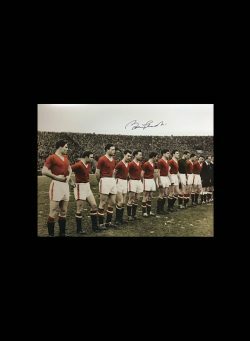 Stiles played the majority of his club career for Manchester United, spending eleven years at Old Trafford, where he became renowned for his tough tackling and ball winning qualities. 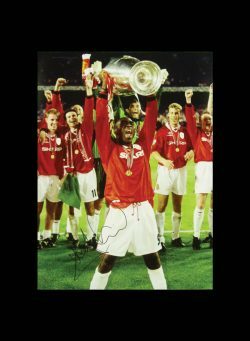 With the Red Devils, he won two League titles and one European Cup. Stiles is one of only three Englishmen, alongside Sir Bobby Charlton and Ian Callaghan, to have won both the FIFA World Cup and European Cup; however, only Stiles and Charlton actually played in the finals of both competitions. The shirt was personally signed by Nobby in a signing session carried out and attended by Allstarsignings in Manchester, 6th April 2011. Ryan Giggs signed football boot. 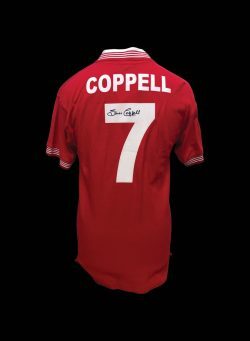 Steve Coppell signed Manchester United Shirt.